The watchmaking art was in the spotlight this Thursday November 10th at the Théâtre du Léman, on the occasion of the prize-giving ceremony for the 16th Grand Prix d’Horlogerie de Genève (GPHG). 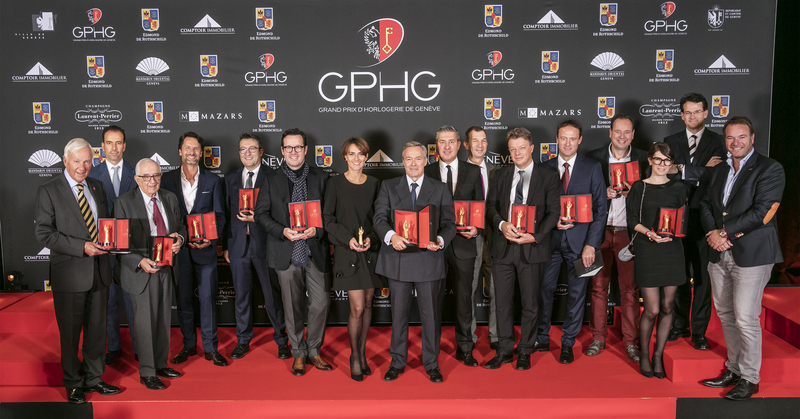 Enriched by the varied competencies of 27 experts, the prestigious international jury of this 2016 edition of the GPHG announced the winners of 15 prizes and awarded the “Aiguiile d’Or” Grand Prix to Ferdinand Berthoud for the Chronomètre Ferdinand Berthoud FB 1 model. The Audemars Piguet, Girard-Perregaux, Montblanc, MB&F, Piaget, TAG Heuer and Tudor brands, along with Chanel, Eberhard & Co, Fabergé and Grönefeld, were also honoured by this year’s jury.